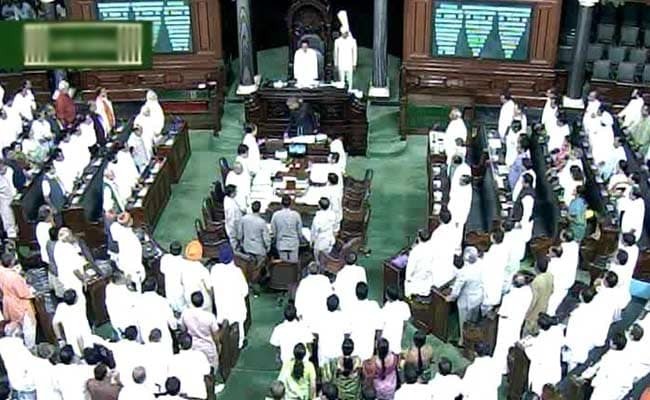 According to Parliament rules, the biggest Opposition party in the House has to have at least 10 per cent of the total strength of the Lok Sabha, or 55 seats, to be eligible for the post of Leader of Opposition. New Delhi: The 16th Lok Sabha will not have a Leader of the Opposition, Speaker Sumitra Mahajan has decided in consultation with the government after taking into account past practices and precedence, sources said. In the Lok Sabha elected last month, no party has that number. The Congress, with 44 MPs is the largest Opposition party, closely followed by J Jayalalithaa's AIADMK at 37. The BJP won 282 seats, and with its allies, enjoys a strength of 336 MPs in the House. The Congress put up its worst performance ever. The BJP-led government of Narendra Modi had earlier said it would study precedence to decide whether or not to allow the Congress the post of LOP. When Mr Gandhi was elected as the prime minister in 1984, the Congress bagged 404 seats in a House of 543. The CPM, with 22 seats, had emerged as the largest opposition party, while the BJP could only win two seats. In the 15th Lok Sabha, Sushma Swaraj of the BJP was Leader of the Opposition in the Lok Sabha. The government will however concede the positions of Deputy Speaker in the Lok Sabha, heads of the Public Accounts Committee, Committee of Public Undertakings, and the Standing Committee on Finance, to the Opposition. They will be distributed among the Congress, AIADMK, Trinamool Congress and the Biju Janata Dal, the four largest Opposition parties. The Congress will have a leader of Opposition in the Rajya Sabha, where it is the largest party. The Congress has 67 members in the upper House and former Union Minister Ghulam Nabi Azad will be Leader of the Opposition. BJP leader Arun Jaitley will be the Leader of the House in Rajya Sabha. He was the Leader of the Opposition in the Rajya Sabha in the previous government.